New Zealand, a country of incredible and raw natural beauty with population of around 3.8 million. There is a pure and unspoilt scenery, no artificial special effect. The climate is temperate thanks to the oceanic influence. New Zealanders are British descents mostly. The nation draws immigrants from other nations all over the world. Viet Community is highly appreciated and Viet Namese students are considered to be smart and hard. The politics of New Zealand takes place in a framework of monarchy, stability and advancement. New Zealand has an international reputation as a provider of quality education. It has a progressive education system with enough facilities. Therefore, with High school and tertiary education result students can transfer to renowned world schools because of its internationally recognised educational system. 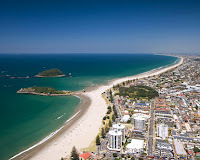 Presently New Zealand has 8 Universities, over 100 colleges and 440 Secondary schools. Also, Language schools scatter everywhere in this country to help international students complete their English before proceeding their main or short courses. Schools offer a safe learning environment with excellent study opportunities and support services for international students. Courses are available for academic, professional and vocational studies at New Zealand institutions - universities, polytechnics and institutes of technology, colleges of education, secondary schools and private training establishments. You can apply to any school.